Yesterday was Mother’s Day. Normally it’s a day that we honour our mothers and thank them for everything they have done for us. This year I decided to do that, and something more. I decided to reflect on what it is to be a mother, and honour my daughter for gifting me with the opportunity of being a mother. I looked back on the last six years of my life to the remarkable moment when she was born. On that day I suddenly found myself face to face not only with a little baby minutes old, but someone who would one day be a little girl, and then a woman. I knew then that I was in for the ride for my life. I saw the tremendous responsibilities I would face, and also the unmentionable joys she would bring. OMG! Shortly after she was born I found that my life was turned upside down. It was as if an earthquake took place and the earth cracked open and swallowed me up. Everything I knew had shifted and all the deep feelings inside of me which I had covered up were unearthed. 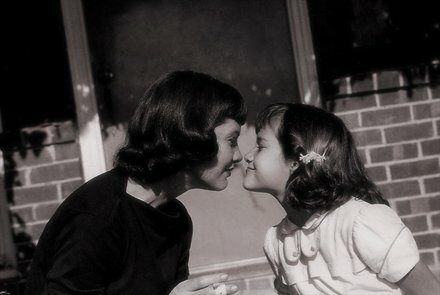 Somehow, everything that did not make sense to me became clear – all the stuff that I didn’t understand about my mother. Double OMG! Not bad for a six year old! So I’ve been trying to apply her wisdom to everything I do. And with that have learned countless lessons as a result of following her three rules. I think I can write an entire book of the lessons she has taught me, but for now I’ll name a few: She has taught me what it is to believe, what courage and strength is all about, and how to love and dream. And of course, she is oblivious to all of this because she is only six years old. There were days when I would be filled with exhaustion. When I have been brought down to my knees and didn’t think that I could deal with one more thing without having a major freak attack – not one ounce of energy was left in me. I would find myself wanting to curl up in the corner in a fetal position, screaming at the top of my lungs to God, telling him off and saying “Ok, you’ve got me! I give up! !” And then, my little girl would step in and become my personal cheer leader. For example, there was a time when I was having a battle with the kitchen cabinets and I was losing in the most pathetic way. I was ready to throw in the towel, or better yet take a sledge hammer to them, and then cry when she says “Way to go Mommy! Look at what you did! I knew you could do it!” And I knew then that I could keep going. I did accomplish a lot. It didn’t matter what the world would throw my way, that because of her, I knew that I could get through anything some way, somehow. I learned that success doesn’t come from everything being perfect all the time, but from trying, failing and trying again. Or better yet, being happy with what you have already accomplished. And every time I would continue to try, my belief in myself would grow just that bit more. I learned that it doesn’t matter where I am, there is someone who believes in me, and she is the most precious angel of all. In the past when I was afraid to do something, I would tirelessly try to dodge whatever needed to get done. My fear would paralyze me. But with this little delicate, yet fiercely brave girl, I find that there is nothing that could challenge or try to defeat me. There is nothing else that matters more in this world to me that my daughter. The courage that this little girl has brought to me allows me to crush down anything that stands in the path between me and her. I find that I am able to stare down into the darkness and look fear right in the eye and say “get out of the way or else you will get hurt.” I learned that strength comes from standing up, facing things and doing what’s right even if sometimes you must stand alone. I have been faced with many challenges which I wish upon no one and the biggest one being not know if my daughter had a life-threatening condition. I had to find the courage to take her to the children’s hospital and having her tested, at the same time being scared down to my very core all the while being calm and supportive of her. It’s a delicate skill to have to be shaking in your boots, be graceful like a ballerina and smile like a beauty queen all at the same time. You should try it some time. You’ll feel like an idiot, but it does work. Really, it does! I am also going to let you in on a little secret that we both share: A hug can sometimes say more than words ever can. It can make all the difference between having a good day or having a bad day. It’s a way to communicate that no matter what happened just now, it’s all ok. In between those arms is a comfortable place to get support, to lean, to hide. It’s a safe place to go to. It’s a way to say I love you without words. My daughter and I hug all the time, every chance we get. I see in her that she pays this forward. As a result of our being affectionate with each other, she, like me, has come to feel more deeply, question more deeply and ultimately love more deeply. And knowing that we have each other’s arms to return to whenever we want, it’s a reminder that we are there for each other. She knows that the door is always open if she wants to talk, to share things with me, now or in the future. She knows that I love her, and I know that she loves me – no matter what. She knows that I love her just because. It’s also a great time to have silly time together, and laugh. Nothing beats a great hug. My daughter is the most beautiful gift that I have received. She brightens my day and warms my heart. It’s difficult being a Mom, I don’t deny it. There is no way to be a perfect mother, as such a thing does not exist. But I strive to be a good mom. I strive to teach my beautiful daughter the art of living, just as she has taught me the very same thing. When I was pregnant, I found it odd that I was never alone, even though there was no one else in the room with me. And now that she is six years old, I still find that I’m never alone, as she is always in my thoughts. Before I do anything I always find that I have to think twice, once for me and once for her. I feel that she and I are connected to one another. She keeps me straight and true as she is the spine in my body. She keeps me strong by being the blood which runs through me. She is in my heart and keeps it beating. She is in my soul as she is my energy. She is my biggest supporter and shares with me little wisdoms each day. She shaped me into the person I am today. I now cannot imagine how I ever lived without her.